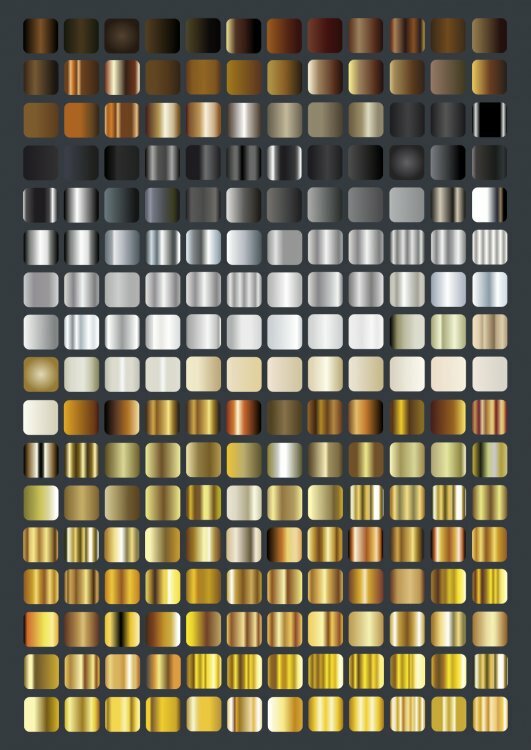 I share a palette of gradients, which I have had for years. Note: I do not know the author's name, which is why I do not mention it. This is awesome, thank you very much for sharing this! Much thanks for this. I absolutely love that they are also available as palettes, which is often more comfort than styles (do not overwrite the blendmode or fx-settings....). Very nice and your share is very much appreciated. Thank you CienciasMagicas for sharing this awesome resource. I'm glad that it's useful to so many designers. Thank you all for your comments. regards! Thank you so much. Greatly appreciated! Thanks so much for this! I use a lot of metal gradients and I'm always making my own. This will save me some much needed time. Cheers!